Click here for the full size — it’s 2000×3000. Also, not a supersized pic, but filling a recent request from the comments (based on the description, I think this is the one requested), a picture of Taylor and his brother Sean with friends in 2006. I am stunned by the handsome brown eyed man in #1. What a difference in style from picture #2 to Picture #1. Both pictures make me smile…but #1 feels like Taylor is looking right at you. Thanks Tay.. now I will have sweet dreams. I’d love to know what goes through Taylor’s mind when he’s picking clothes. I think I heard him say in an interview that he has someone who helps him shop. Oh man . . . that first picture is stunning and so stunningly huge! I just love that jacket on him. It’s just gorgeous, and it fits him so well. He always looks dapper when he wears it. And the second picture is such a different aspect of Taylor with his shirt halfway untucked and all. Sean is such a cutie with those cherubic cheeks going on, but I’ll take Taylor over him any day. Thank goodness you didn’t use the second picture above in your post yesterday, referring to Taylor’s Hugh Hefner costume. Well, because that would have just been wrong. I have to agree with everyone, #1 photo is a sight to behold! just something about him in a jacket…all dressed up! Taylor’s sartorial selections seem styled especially spectatular this Saturday. Do like to see him in that jacket and the super size photo brings out the detail and the perfect combination with his hair and shirt. That first shot is stunning- he is just perfection personified. The second- well, he looks like he’s had a hard night, but I’ll take him. Sean is such a cutie patootie- anyone know what he’s been up to lately? Wonder if he’s one of the “buddies” Taylor went diving with in the Caymans. Thanks, TH. Wow, number 1 is definitely a keeper. Thanks so much ! Tongue hanging out at no. 1. It looks like picture taken at the Beacon. My goodness Taylor is so handsome he doesn’t really know how great looking he is. Thanks for waking me up after a long night. I love them both!He looks like they just woke him up for #2 and stood him in for the picture,lol. Quite a difference between number one and two. He has certainly lost that “average guy” look in number two for that “Hot Star” look he has now. Beautiful in that suit. WOW! #1…all I can says is “You are so beautiful to me”. #2 is Taylor just being one of the guys. I like both photos. Taylor has that superstar look in picture #2 also. Wow! Just wow at the 1st photo! And I was definitely blown away by the “blown up” version! This is what exclamation points are for!!!! Wow…..what an absolutely beautiful pic of Tay….he never fails to bring a BIG smile to my face and a more rapid heart beat…..Even in #2 just being one of the guys he has that sparkle….always……. Nothing better than Taylor looking right at you with those liquid dark brown eyes!! Sean looks a lot like his dad, Brad. Okay slap my face and call me stupid, but which one is Sean? The second one – nice looking guys – all of them ! Sean is the man with the long straight blonde hair standing next to Taylor. In fairness to Sean, he has lost a lot of weight and has a short hair style nowadays…..( or at least in the finale he did. #1 picture is classically handsome Taylor. BTW I read too that he has a shopper who helps him buy his show biz woardrobe for special occassions. saboo said, “I think I heard him say in an interview that he has someone who helps him shop.” OK, sorry if this sounds pretentious but Taylor told ME that! woo-hoo! I asked him if he works with a stylist and he said yes. Alright, NOW my fifteen minutes are over. I have a question. Why is it that whenever I click to see the full sized version, I actually get a photo that’s smaller? Obviously it has something to do with my computer. Do I need to change my settings or something? Does anyone remember that paparazzi video in a mall when they were asking Taylor how he felt about Heath Ledger’s death? There was a brunette with him in the mall which could possibly be his stylist? caryl, when you click the full sized version, try hovering your mouse over the image until you see a little magnifying glass and click on the picture. That should get it to its full size. #1 what a nice picture of Taylor, #2 it is nice to see him with his brother and friends. Thanks. cmbing: Holy canoly! It worked like a charm. Wow!! Think of all the supersized photos I’ve missed because I didn’t know that simple thing. And I’ll bet our bloggerina gave instructions on that very thing somewhere along the way but I didn’t take the time to read it. My fault. My loss. But- oh baby, I’m in business now! When you see the LARGE version, it’s as if Taylor is standing right there in front of you. You can see every thread of his clothes. Every pore in his skin. But look who I’m telling. You guys already know that. I’m bummed that you haven’t been enjoying it all along, because it’s a totally different sensory experience, to put it mildly. It’s official. I’m in lust for supersize Taylor. 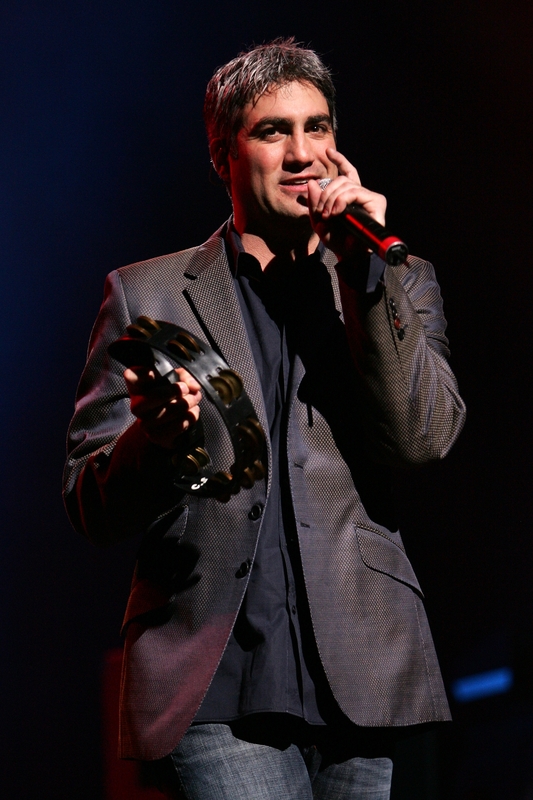 Taylor Hicks is a FOX! Ah, caryl, not pretentious at all about the shopper comment! 🙂 …. I’m sorry I didn’t remember where I had read it so I could give due credit. Your conversation with him was amazing and fun to read about! #2 looks like a bunch of good ole ‘Bama boys, to me! and #1 is loverly, fo sho! Taylor supersized is like a dream come true, eh? I am a day late (as usual), but #1 is yummmmm!!!! But I love both the pics. Thank you. Thanks cypfan for pointing out Sean. Caryl…. thanks for asking how to supersize Taylor….I’ve had the same problem….. WOW…. I’ll take mine supersize all the time!! Yes, that does look like the Beacon to me too!! Picture #2 is “GQ Taylor!! and Picture #2 is “R&R Taylor”!! !